Looking for a puppy for sale, but not even sure where to begin? Choosing the perfect animal companion goes far beyond pointing at the pooch with the cutest face or the coolest coat color—finding the dog with the right disposition is a serious undertaking if you don’t know what to look for. So let’s jump right into it and examine the basics of dog dispositions, and find out how you can finally choose the perfect puppy. What do we mean by dog disposition? Your dog’s disposition isn’t just its personality. Disposition depends on deeply rooted genetic tendencies, temperament, and inclinations that truly define who your dog is. I know that sounds deep, but disposition really defines what it means to BE a specific breed of dog. Corgis, Dachshunds, and yes, Doodles too, all have breed-defining dispositions that are far more important for defining those breeds than coat color, height, weight, and any physical traits will ever be. How do you define a Doodle’s disposition? Doodles aren’t just bred for their hypoallergenic, non-shedding coat—they were originally bred to be the ultimate service dog. Loyal, friendly, playful and smart as a whip, Australian Labradoodles are gifted with supreme patience for strolling through the park, boundless energy for an hour-long frisbee session, and a love of all things people. Like most things, each Doodle exhibits their own personality quirks that make each dog unique and fun. However, breeders strive to maintain the essence of what it means to be a Doodle—the breed disposition—in every litter, no matter whether they’re breeding the tiniest toy Doodles or full-sized standard Doodles. Being happy with your new Doodle means not trying to put a round peg in a square hole. Doodles are great dogs, but their breed disposition makes them inclined to perceive the world in a certain way and act on that perception—if their personality doesn’t jive with your lifestyle, it’s foolish to pick a Doodle as your new puppy simply because you like they way they look. That goes for any breed. Personality is far more important than appearance. How do you pick the perfect puppy? Doodles are fantastic dogs, but that doesn’t mean they’re fantastic for every person. When you’re deciding on which breed of dog to choose, ask yourself the following tough questions to figure out if Doodles are really the best choice for your family. Unfortunately, not all dogs are great with kids. Many breeds can be snippy or downright aggressive with small children, which can frustrating and even dangerous for your kids. Fortunately, Doodles love kids! Doodles are incredibly patient and are like big children at heart, and they make the perfect companion for people both young and old. Doodles don’t need constant physical exertion like some breeds of dogs to stay happy, but even smaller Doodle sizes need daily exercise. Expect to spend at least 30-60 minutes per day walking or playing with your new friend—when dogs don’t get enough exercise, they become restless and sometimes destructive. That goes for any type of dog, by the way! Luckily, Doodles are super laid-back, meaning they probably won’t tear up your favorite shoes if you forget their daily walk once or twice. But these are still very energetic dogs, and need to get moving regularly. Is your home big enough for a Doodle? Piggybacking off the last question, Doodles just don’t do well in cramped apartments. Even smaller sizes like the micro mini Labradoodle need exercise, and room to pace while you’re at work can do a world of good for these dogs. While your ability to bring another dog into the home largely depends on the disposition of your current pooches, it’s also imperative to choose a breed with a friendly disposition that doesn’t mind sharing room in your home and your heart. Doodles are famously laid-back and tend to get along great with other dogs, just like they were old friends. That about covers your side of things, but how do you make sure the puppy meets your requirements? 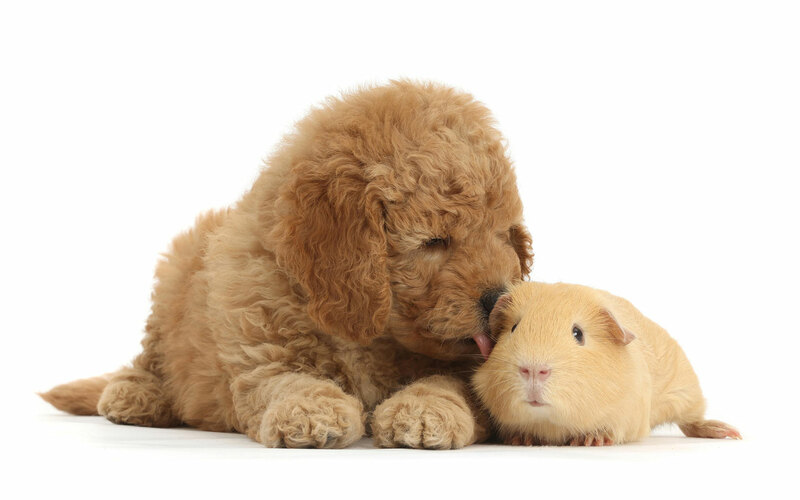 Because even popular breeds with steady dispositions experience variance between (and within) litters, it’s crucial that you find a breeder dedicated to preserving that winning Doodle formula with each new litter. And that’s not as easy as it sounds! The effort required to breed exceptional Doodle puppies naturally rules out pet stores and puppy mills. Puppy mills are ridiculously inhumane, often treating puppies like products coming off a factory assembly line. Disease and abuse are rampant, leading to sickly, poor-behaved pups that are unsuitable for most families. With pet stores, you simply have no idea where the dogs are coming from, and 99 times out of 100 they’re coming from puppy mills anyway. Your best bet is picking a dedicated Doodle specialist who knows the breed like the back of their hand. 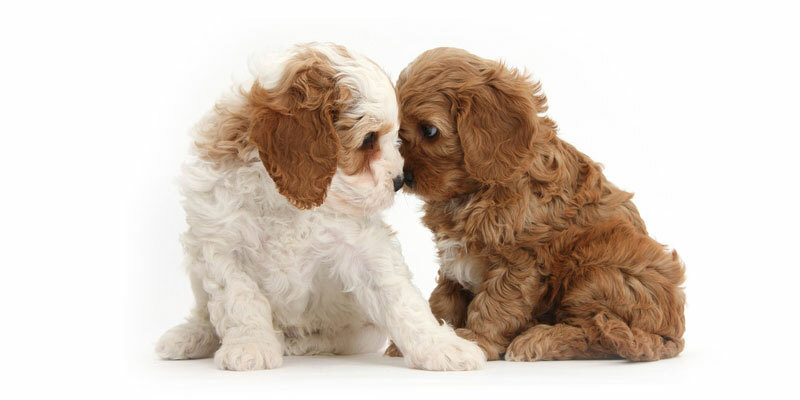 The best Doodle breeders make sure each litter is happy and healthy as can be, all while maintaining the traits that make these dogs so lovable and popular. If at all possible, try to meet your breeder at their kennel to check the new pups yourself. With vetted and highly reputable breeders, that may not be necessary—with Uptown Puppies, we try to match our pups and owners based on disposition and your unique needs—if you absolutely MUST have a certain color, you might have to wait! If you are able to meet the pups in person, it can serve as extra reassurance that you’ve chosen the best breeder. Puppies should crowd around you and want to play. If any one pup in the litter seems overly aggressive or shy, that could be an indicator that this particular litter is unsuitable for you. Generally, Doodles have very stable dispositions and overly aggressive and shy dogs should be a red flag. The fact is that shy and aggressive dogs usually haven’t been properly socialized at a young age. These issues won’t go away, and in many cases they can get worse over the years. That can be a major problem for families with kids and other pets. While we help our customers with this step based on questionnaires, you can also look for the same traits in person. Even among Doodles, individual dogs will have unique little personality quirks that might make them the perfect choice for you. The Independent: Some people prefer more aloof dogs. Independent-minded pups can be seen will be content just sitting and playing alone, but they’ll still be MORE than happy if you join in, too. The Leader: These are the pups climbing on the backs of their littermates and scaling the walls of their enclosure looking for an escape route. These pups have the brains and determination to keep up with you no matter what. The Eager to Please: While all Doodles are eager to please, some pups just have a supernatural affinity for people. The Relaxed: There’s laid-back, and there’s relaxed. These Doodles are the perfect companion for a rainy day cuddle on the sofa. Doodle personalities don’t usually fit into neat little boxes, and your puppy will probably exhibit a mix of traits. What’s important is that the litter as a whole doesn’t seem undersized, sickly, or antisocial. A physically healthy pup is often a mentally healthy pup, and should be high on your Doodle checklist. If you’re not meeting your puppy in person, it’s absolutely vital that your breeder provides some sort of health guarantee—like the one offered by Uptown Puppies—to protect against common health problems and genetic disorders. The truth is, reputable breeders know they can stand by their pups, and should be more the willing to back up that guarantee in writing with a warranty. Choosing a dog based on color or size alone is a surefire way to face difficulties down the road. Knowing yourself and what you want in a furry friend is the first step to choosing the right dog, so think long and hard about your personal needs and limitations before you sign on the dotted line. Luckily, Doodles have been bred to fit right in with almost any owner—they’re true crowd-pleasers. If your puppy search does take you into Doodle territory, know that with a reputable breeder you’re getting one of the top breeds with the friendliest dispositions in the world.